The truck models in the BT Levio R-series powered pallet truck range are perfect for long-distance handling of multiple loads. 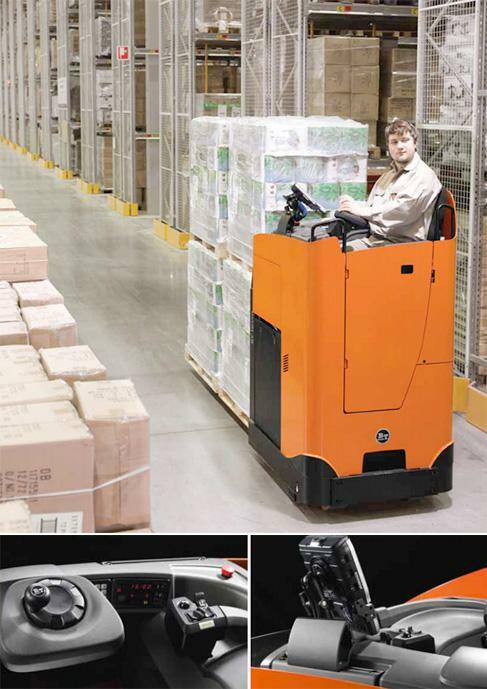 The seated cab offers enhanced driver protection and is ideal for material handling operations in distribution centres, warehouses and factories. The BT Levio R-series rider-seated powered pallet truck range offers improved driver safety due to its seated-cab design. 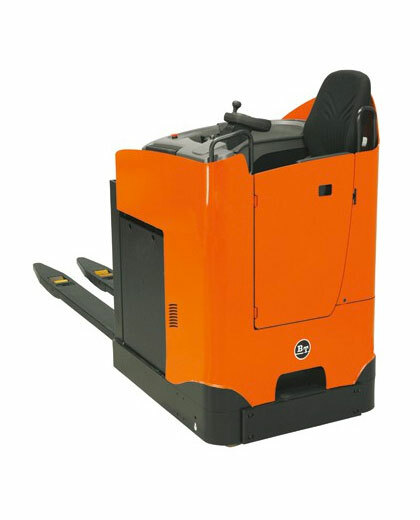 These pallet trucks also have an adjustable seat, steering wheel and pedals to suit any driver, as well as a cushioned cab to reduce truck vibrations. The R-series trucks have high driving speeds of up to 19.9 kilometres per hour and load capacities up to 3 tonnes, allowing fast and efficient load transportation.